Hillview Enterprises. The LPG Experts. Hillview Enterprises covers service, repair and maintenance of all LPG gas appliances. In addition we carry out full safety inspections of LPG installations & appliances for landlords and homeowners. So whether you need a new gas hob installed or leisure industry safety certificate for your hired-out caravan give us a call and we’ll be happy to help. 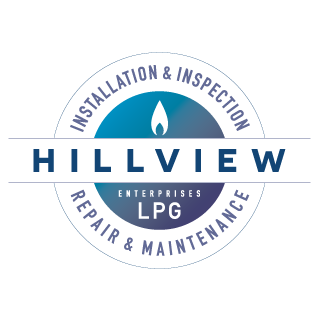 Hillview Enterprises was started over 15 years ago and has been providing LPG gas services to customers in the North East of Scotland ever since. Geoff Morrison has taken on the running of the business as of summer 2018 after working alongside the original owner Les Gray over the past year. Les is now enjoying semi-retirement. The business will continue as normal and Geoff will still carry out the same work and provide the same high standard of customer service for which Les was renowned. LPG Installation, Inspection, Repair & Maintenance Services throughout the North East of Scotland. For more information or to discuss your requirements, please , telephone 07703 581371 or use our enquiry form. Hillview Enterprises, Mintlaw, Aberdeenshire, Scotland AB42 5AL. For more information or to discuss your requirements, please or telephone 07703 581371.